Describing 34-year-old Daniel Knox’s music is a tall task. Antonyms like “gritty” and “beautiful” have been used to describe the sound. Adjectives like “derelict,” vaudeville” and “Judy Garland-type baritone” have been used to describe the style. He may be Chicago’s answer to Tom Waits or Harry Chapin. If you combine all those descriptions, there is a ring of truth. On their own though, they cannot encapsulate Knox. As he says, it’s better to just listen. Born and raised in Springfield, IL, Knox moved to Chicago in 1998 to attend film school at Columbia College. He ended up becoming disenchanted with it and dropped out, but along the way taught himself how to play piano by roaming downtown late at night when the city sleeps and playing unoccupied pianos in lobbies that he’d wander into. Sometimes he’d go unnoticed, sometimes he’d be asked to leave, but each time he played he taught himself more and more. Despite the stroke of luck that Knox seemingly had, his career has not made him rich and famous, at least not yet. Father to a 16-year-old daughter, Knox said at times sticking with music was not the easiest choice. But like the days when he was teaching himself in the lobbies of empty downtown buildings in the middle of the night, there was no one to influence his choice one way or the other. He chose to stick with music for reasons that he describes in our interview. Last month, Knox’s self-titled third album on local label Carrot Top was released to critical acclaim. Largely recorded at Electrical Audio in Chicago, he explains that it was actually recorded by accident. He intended to record the third record of what is a trilogy (with “Disaster” and “Evryman” being the first two) — and did record it, but that album has not been released yet. 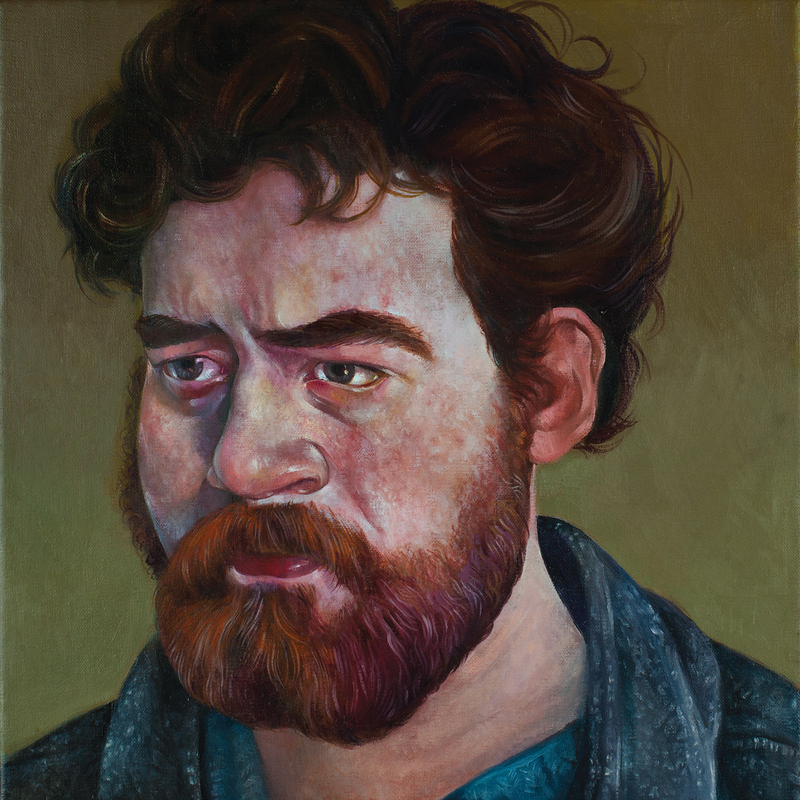 Right now, he is focused on the recent release of “Daniel Knox” and is touring in Europe in support of it. That is where The Chicago Ambassador recently spoke to Knox — before a soundcheck at a gig in Wales with The Handsome Family. CA) The last few months, you’ve really taken off in the press and with this tour. Has it felt like a whirlwind? KNOX) It’s been fun. It’s hard to quantify. I’m really happy that people seem to like the new record. It’s been great to be able to focus on that. CA) People who don’t know you get this 30-second bio that describes you as the guy who dropped out of film school at Columbia College and taught himself how to play piano by going into downtown buildings late at night and playing unattended pianos. What’s missing in that brief description? KNOX) The thing about bios is that I don’t write them and I hate putting them together. It’s like when people ask you ‘what is your music like?’ or ask you to ‘describe your music.’ I wouldn’t. I would just play it for them. So, I don’t have an answer other than to say the only thing missing there is meeting me in person or hearing me in person. CA) You grew up in Springfield and moved to Chicago in the late 90s to attend Columbia and have been here since. At the time, you thought you wanted to be a filmmaker. Did you have a musical childhood? KNOX) I was into music growing up, all kinds of music. But I never really imagined playing it at all. At one point, when I was about 13 I tried to take guitar lessons to impress a friend but I gave up after a day. It just seemed inaccessible to me at that age and for a very long time. I think when I first started to learn how to play (the piano) the gift to me was that no one was around to criticize me or even praise me. I think I got a lot better just by making up my own mind about what sounded good. CA)You have been a big fan of David Lynch since you were about 13. You ultimately met him and that ultimately led to David Coulter calling you. Would you say that was the start of your music career? KNOX) It pretty much was. Not because of that event but because the things that came from it. That’s how I met The Handsome Family and Rufus Wainwright. CA) The video for “Don’t Touch Me” premiered on Vanity Fair’s website. How did that come about? KNOX) Someone pitched the story and they put it up. CA) The cover of the album is a portrait of you by Chicago artist, Gregory Jacobsen. Do you know him? KNOX) I do know him. He used to work with me at the Music Box years ago. I always liked him and I always looked forward to his paintings. The one he did of me is so different from all his other work. I felt like, I knew he wouldn’t try to make me too handsome and he wouldn’t try to make me real ugly. I love it. I like it more than most pictures of me and am thrilled that he agreed to do it. CA) “Disaster” (2007) and “Evryman for Himself” (2011) were made without resorting to a studio. The new record, by contrast, was produced at Electrical Audio by Greg Norman. — Did that make a big difference? KNOX) It was a real big difference. We went in to record a different record, which we did record, but we decided to put this one out first. About half of it was recorded at Electrical Audio, some things I recorded at home and some was recorded at the Watermill Center in Watermill, New York and some was recorded by Justin Dennis at Kinora in Ravenswood. CA) The album that you went into Electrical Audio to record is the third part of a trilogy, with “Disaster” and “Evryman for Himself” being the first two. Did the “Daniel Knox” album just come about? KNOX) Yeah, it really just came about naturally. We had no intention of making two records. KNOX) It’s done, we just have a few little things to work on. I wanted to take my time mixing it. (No release date has been set but it’s expected in 2015). CA) Your songs are not love songs. Lots of them seem to be about places that are no longer and that sort of thing — is that a conscious effort or just what interests you? KNOX) It’s something that interests me and in a way they are kind of love songs. I wrote a lot of love songs about stores. Maybe some would call them memorials or tributes, I’ll leave that to someone like you to describe. I go back to Springfield about 4 or 5 times a year, and every time I go back something is gone and replaced by something new or an old place is called by a different name. I guess I like the idea of not letting even the banal memory of it disappear. CA) You work as a projectionist at the Music Box, as mentioned, you walk around in the city at odd hours by yourself. Would you describe yourself as someone who is content with being alone? CA) Some may say you’re a bit of a loner. KNOX) I wouldn’t call myself a loner at all. I’d say this. I like people one at a time, not in crowds. I don’t have groups of friends nor do I care to. I do like spending time by myself, I spent a lot of time by myself growing up, it’s nothing extraordinary. I like staying up really late, walking around when there’s nobody out. It feels like the whole city belongs to you. CA) Is there any irony to the fact that despite the solitude, you want as many people to hear your music as possible? KNOX) No, because I don’t think of a live performance as some sort of immersive crowd experience. I generally treat every crowd like one person, like a solitary collective. It’s only when there’s a couple assholes that won’t be quiet that interrupts something like that. Usually I feel like it it’s very much a conversation between me and one person that just happens to be embodied by many people. CA) You have a 16-year-old daughter and have talked about how there were times when things got tense because you were doing what you believed in and maybe not going another route to make more money. How tough did it get? KNOX) I’d just say that there were some really lean times economically. I don’t think that’s unique to me, it’s just part of my experience. When you have kids and you know if you do something else in the short-term you could do better by them, it’s a difficult choice to make but I suppose I made the choice that I did because I saw a slow incline, but an incline nonetheless of attention towards my music. I didn’t want to set the example for her of giving up on something. Frankly, I’m not very good at anything else. I’m not the world’s best projectionist. I wasn’t a very good waiter and I wasn’t a good mail boy. This is what I’m good at and I figure if I’m going to leave her anything it’s going to be a little bit of money, some musical instruments and the rights to my songs. CA) It seems like most people go the other way –taking a job because it’s more money and perhaps selling out their dream in the process. KNOX) I would say it’s just the world working itself out. If it’s not for you, then you’ll probably give up on it. CA) Have you set any ultimate goals with your music? KNOX) I really try not to because it’s just setting yourself up for failure. My ultimate goal is doing what I’m doing now. Obviously I’d like to be a little wealthier and a little happier, but that’s true of anyone. As long as as I’m able to make music with people I respect and who respect me, that’s all I can hope for. I have ambitions, but I feel pretty content where I’m at. All I want is for more people to hear it. Knox returns from his European tour April 19 and is scheduled to play that evening at 1st Ward as part of CIMMFEST.